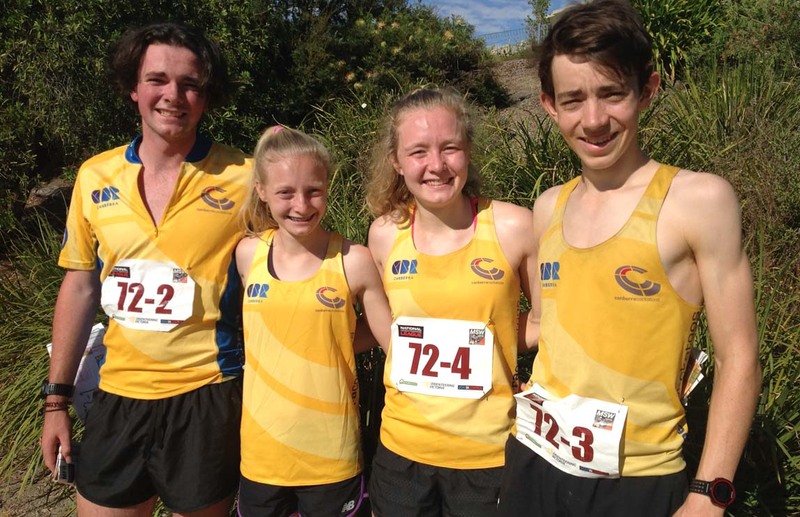 Canberra Cockatoos junior team of Zoe Melhuish, Noah Poland, Patrick Miller and Tara Melhuish recorded a clear win in their division of race # 3, a mixed sprint distance relay, of the National Orienteering League at Yarra Valley Grammar School. The first leg was a head to head race between Zoe Melhuish against fellow Cockatoo Ella Cuthbert of the Cockatoos second team with Cuthbert leading into the changeover with a nine seconds lead, but from then onward the Cockatoos first team was never headed, winning by over a minute from the Southern Arrows team. Their time of 62 minutes 46 seconds would have been good enough to be third in the seniors’ race, which unfortunately did not go well for the Cockatoos senior first team, with the final leg runner, Shannon Jones, missing a control in the mid-stages of her course. At the time the team was clearly second behind the Victorian Nuggets. Their second team of Tamsin Moran, Ian Lawford, Zac Needham and Kathy Dent finished a creditable fifth. The full results are here and the splits here.